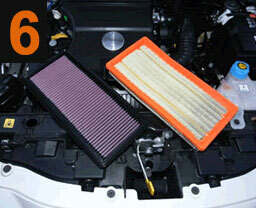 K&N replacement air filters are quick and easy to install. 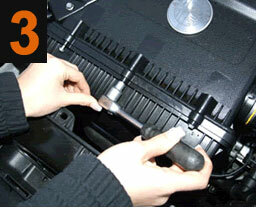 They can be fitted with basic automotive tools and knowledge.You do not usually need a professional mechanic to fit an air filter for you, but if in any doubt at all we kindly ask you to consult an automotive garage , a qualified mechanic or your manufacturer handbook. 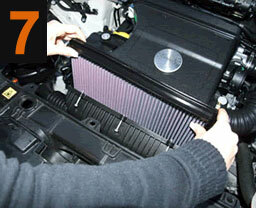 The K&N air filter is designed to be a direct replacement for the original standard air filter. 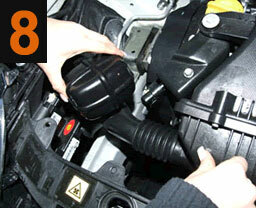 It has the same outer dimensions to enable straight forward fitment inside the standard air box. 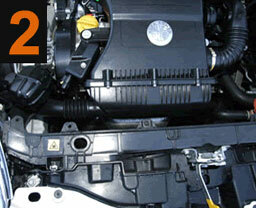 No modifications are required to any engine components or the air intake. Once fitted you do not need to remap the engine, the existing engine management system will take care of any changes in air temperature or flow. 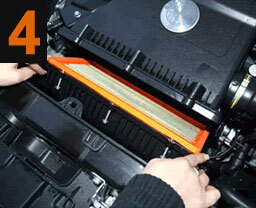 9) Shut the bonnet and off you go to enjoy the extra performance of the K&N air filter! 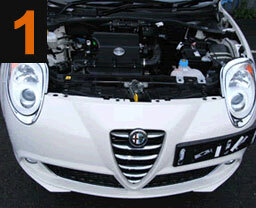 The images below show a K&N air filter being installed on an Alfa Romeo MiTo. Close the bonnet and off you go!